FRONTLINE - American television’s top investigative documentary series since 1983 - presents a special sneak peek screening of LAST DAYS OF SOLITARY. 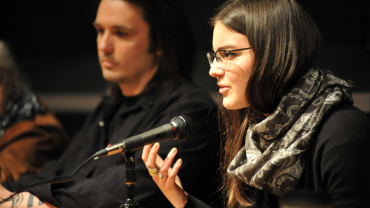 Producer Lauren Mucciolo will attend to discuss the film. 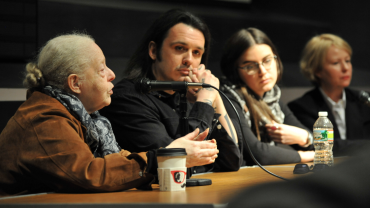 The Salem Chamber of Commerce, Salem Film Fest, and the Creative Economy Association of the North Shore are combining efforts to create a memorable kickoff for the Seventh Annual Salem Film Fest. Meet VIPs, listening to music, and compare itineraries with fellow film lovers at this festive event at Salem's historic Old Town Hall, 32 Derby Square. Free Admission. 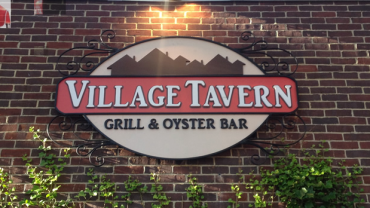 After the first full day of the festival, you'll want to wind down and relax at the Village Tavern, just steps from CinemaSalem, PEM, and the National Park Service Visitors Center. Meet a filmmaker, enjoy delicious food, quench your thirst, and drink in the fun festival atmosphere at this comfortable pub. Village Tavern, 168 Essex St. Free Admission, Cash Bar. Come see the future of documentary filmmaking, as the top ten films created by Massachusetts high school students are presented on the big screen. 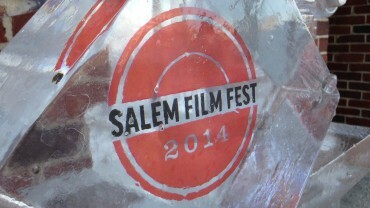 Presented by Salem Film Fest and CinemaSalem. Filmmakers in attendance. Free Admission. A doc shorts showcase of films by current Massachusetts college and university students and recent graduates. Filmmakers in attendance. Free Admission. 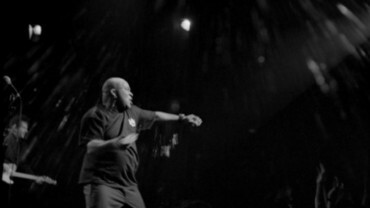 Documentary filmmakers discover people with great personal stories and tell their stories boldly. To do so, they follow their subjects around -- sometimes for years -- with camera in hand, peering into the darkest corners of their lives and capturing intimate, revealing moments on film. The job requires not only technical savvy, but significant people skills as well. How do nonfiction filmmakers gain the trust of their subjects, and convince them to relax, open their hearts and minds and reveal their deepest truths? Finz hosts a Saturday night blast, featuring legends Barrence Whitfield and the Grits & Groceries Orchestra, sure to get you up and dancing in the confines of one of Salem’s most comfortably stylish restaurants. Or simply enjoy the awesome view of Salem Harbor at night. Free Admission. Start your day with a delicious breakfast in the company of filmmakers and film lovers from all over the world. Caffe Graziani, 133 Washington St. Cash Breakfast. The ending of a documentary film is unwritten when it begins. As events occur and circumstances accumulate, the filmmaker is there to record it all -- or as much of it as possible -- to be later shaped into a story with a beginning, middle and end -- or, because real life situations continue after films about them are over -- a temporary denoument. But what does the filmmaker do when the story fizzles or a character turns out to be manipulating the truth or contradictory evidence comes in to play or death threats are made? In other words, are there times when filmmakers are tempted to influence the flow of events or their outcome -- either because of personal convictions, or to make the story flow better or, or for that matter, just to move the subject into a better frame of light? What sort of influence is acceptable practice and what's going too far?